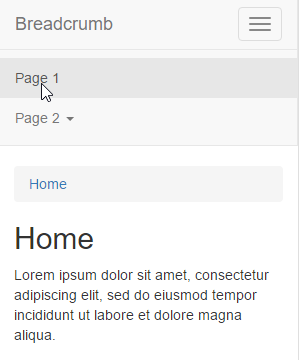 After reducing displayed size, navbar’s menu toggle from a bar to a button. 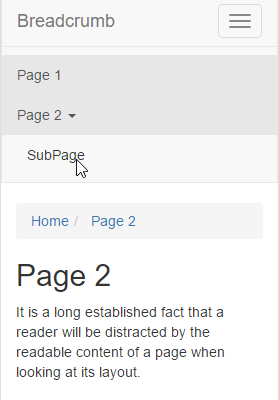 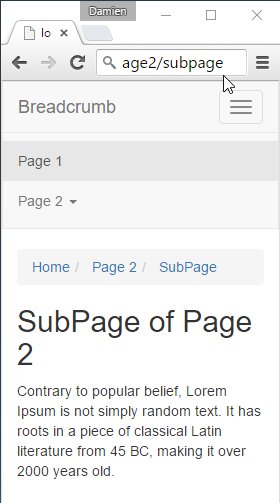 It’s possible to go further in depth with a third level (here ‘home/page2/subpage’). 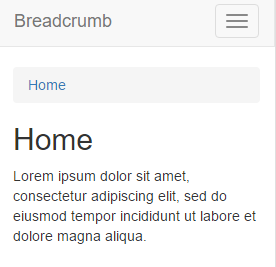 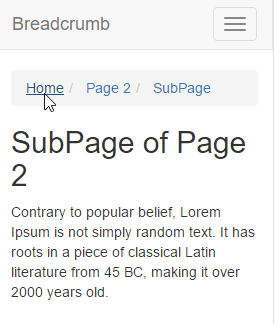 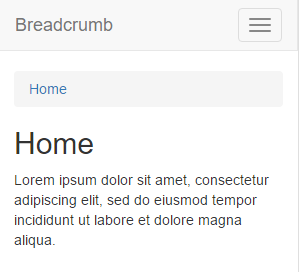 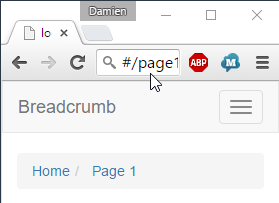 All breadcrumb items are clickable (here ‘home’). 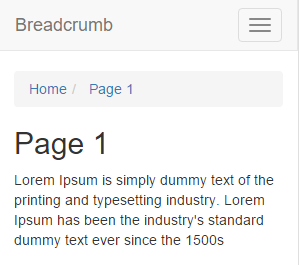 of the printing and typesetting industry.